If you live, visit, or run a business in Calaveras County, then you’ve most likely heard about points of interest like the Big Trees State Park, New Hogan Lake, the Mercer Caverns, or Murphy’s Community Park. 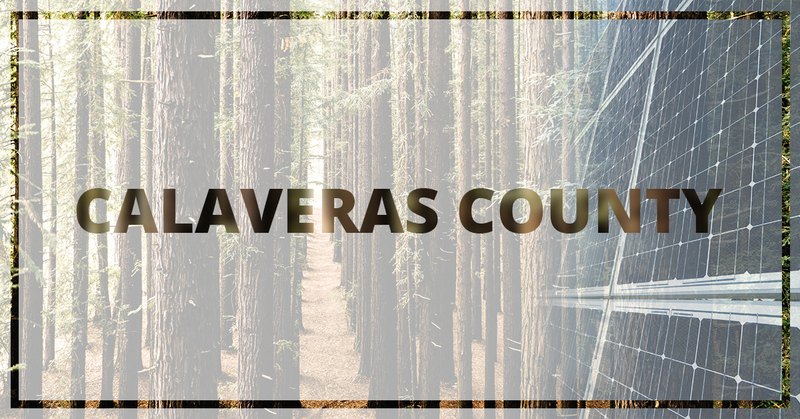 The entire area encourages outdoor activities so how do homeowners and business owners keep the area clean, healthy, and enjoyable to those living or visiting Calaveras County? The simple answer is a solar system for your home or business. The exact cost of a solar system for a home is going to vary based on the home’s roof, the system design, and the technical difficulty of the installation. Whether you have a small system or a large system installed, West Coast Solar can help. Our expert designers and certified solar installation technicians will ensure the effectiveness and functionality of your system. Once you make the switch to solar power, you save money on your utility bills, help the environment, and create a better future for your community. What Will A Business Save Switching to Solar Power? As a business in Calaveras county, you understand the importance of keeping the lights on. You’re probably aware of the rising energy costs, too. Fortunately, when you decide to utilize solar power for your business, give West Coast Solar a call. We will design and install your commercial solar power system so you can begin saving money on energy costs and positively impacting your community. Why Switch to Solar Power? West Coast Solar Serves Calaveras County! Do you want to switch to solar power? If you own a home or business in Calaveras County, give West Coast Solar a call today. We’ll work with you to design and install the best solar system for your energy needs.